Whether your lips are naturally thin or have lost volume due to aging, lip enlargement in Virginia Beach from Hubbard Plastic Surgery can provide a soft, subtle enhancement to your appearance. Our nurse injector is trained in the proper use of injectable treatments and tailors each procedure to individual preferences. Hubbard Plastic Surgery uses fillers such as Restylane® and JUVÉDERM® Ultra Plus XC for more predictable and lasting results. A consultation with our certified nurse injector can offer specific treatment options for a subtle change or a dramatic new look. Request a consultation online or contact our office by calling (757) 600-6227 to learn more about lip enhancement in Virginia Beach. 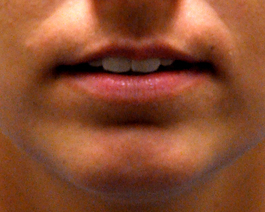 Is Lip Enlargement for Me? Lip enlargement is effective for adding volume to the lips as well as reducing vertical wrinkles or "smokers' lines" around the mouth. 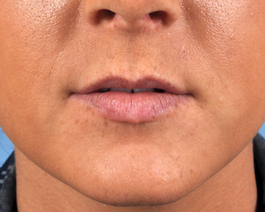 This procedure is also used to correct asymmetrical or misshapen lips and can provide a more youthful appearance overall. Patients can experience slight redness or swelling after treatment that subsides within a few days. Therefore, this procedure should not be performed for at least 1 week prior to any important events the patient may be attending. Our nurse injector will tailor your injectable treatment to your aesthetic tastes and individual physical characteristics. The treatment area is usually numbed using a topical anesthetic for increased comfort. Our nurse injector will then inject small amounts of the filler into several specific areas. The degree of enhancement is easily adjustable. Patients are able to gauge their progress and control their treatment by periodically viewing changes in the mirror. 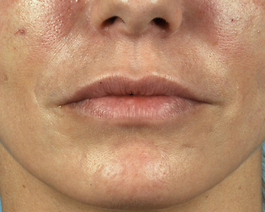 Lip enhancement with fillers requires little to no downtime and has very few associated risks. Usually, the most common side effects include minor bruising, swelling, and redness at the injection site, which usually lasts only 4 to 5 days. Stopping aspirin products (if approved by your family physician) 4 days prior will help decrease bruising. Full results appear over the next few weeks as the swelling subsides, and the effects last 6 to 9 months. 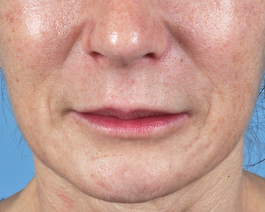 Restylane is now a preferred treatment for lip enhancement. It has earned FDA approval for and is effective in reducing moderate to severe folds and wrinkles on the face. With many years of use and more than 10 million treatments in more than 65 countries, Restylane has an unparalleled safety record, and because of its success in filling and plumping beneath the facial skin surface, its applications were extended to lip augmentation. It is made from hyaluronic acid, a molecule that occurs naturally in our skin, so allergy testing is not required. 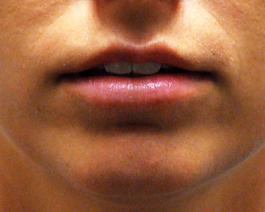 Another option for lip augmentation is using the patient's existing fat as the plumping material. This method can provide longer lasting results but usually requires more down time from the swelling. 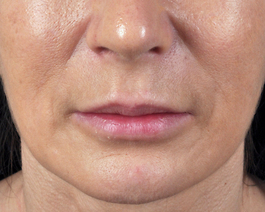 A consultation with Dr. Hubbard can provide you with more details about fat grafting to the lips. 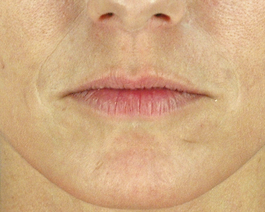 Please visit our lip enhancement photo gallery page to see examples of lip enlargement.